I would like to invite all of you to participate in the very first Twist on PR Twitter chat. As our first event is Tuesday, March 11, I wanted to everyone to get excited, involved, and prepared. Not only do I want people attending to participate but also those who can't attend. On Monday, March 10, I'll be leading the personal brand based chat. 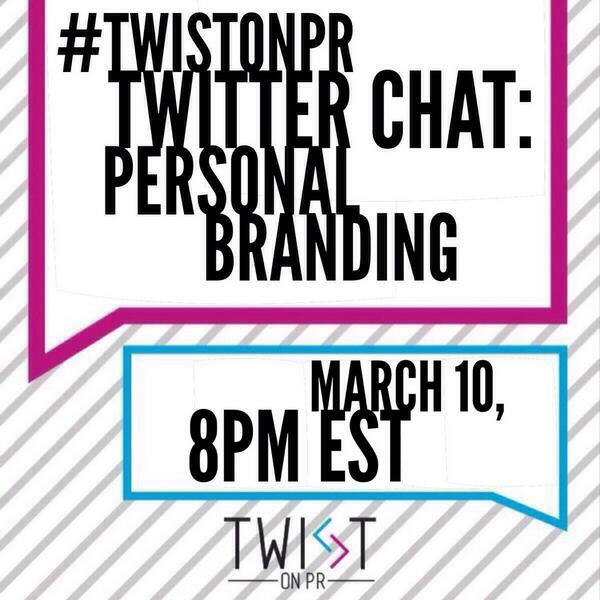 Follow along with the hashtag, #TwistonPR. Hope to tweet you soon!